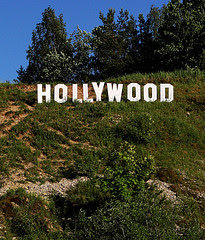 Rethinking Faith and Church: Has Hollywood Invaded the Church Service? A CAVEAT: I know I will step on some toes with this post, and if some of them are yours, I ask your forgiveness in advance. It is not my intention to paint all pastors, leaders, nor institutional churches with the same brush. What follows is mentioned only to get us to prayerfully think about some of the things that we do in the name of Christianity which I believe are actually quite unbiblical. Peace & Blessings. I was once again appalled by something that I heard from a pulpit while visiting a church recently. There was a visiting missionary from Africa speaking that Sunday. He lost me right off the start when he repeatedly spoke about his "post-doctorate studies." It seemed rather obvious to me that this man was rather high on himself. Was the congregation supposed to be impressed by his education? In all fairness, he may not have meant to convey such a message, but that is exactly the message that I received. After that, unfortunately I became closed to anything else that he had to say. All I could think about was, "always learning but never able to acknowledge the truth" (2 Timothy 3:7). We see that all the time nowadays, or at least, I'm noticing it. Look at a church bulletin and we see the importance of titles. Why is it that we have to put titles as Reverend or Doctor on our church leaders? I even saw one church leader a while ago who in a publication called himself the "Rev. Dr. _____ _____." Why do we need such prestige? Is such a thing even biblical? In retrospect, I'm ever so thankful that I didn't fall into that trap of ordination, even though on more than one occasion I was strongly encouraged by church board members to seek ordination. I reasoned, I'm no better or greater than the next person, so why would I want that? Ultimately, isn't that what the priesthood of believers is all about (Revelation 1:6)? What ever happened to calling forth elders and leaders based only upon the fact that these people were mature in their faith and filled with the Holy Spirit? Is that even the number one priority anymore? Sometimes I doubt it. Instead, what churches seem to look for today is at least a seminary degree to the Master's level. Lately, even that doesn't seem to be good enough as we see more and more pastors who boast Doctorate degrees. Does a piece of paper somehow make them more godly and better able to lead the church? I remember one brother sharing how he knew of a pastor who pastored a church for many years before he himself even became born again! Most today would probably agree that the degree does not make the pastor, yet it's strange how at the same time there is so much emphasis placed upon the pastor to have the right educational degree. Has that become more important than simply being gifted by God to shepherd His people? Hmm, I wonder. Whose kingdom is really being built? I remember visiting a church that no longer seemed to feel their beautiful facilities were good enough to meet their perceived needs. They too were planning to build a bigger and better (?) place. The preaching from the pulpit spoke of how God was "calling" them to build a 5000 seat sanctuary! (Incidentally, God must have changed His mind, because that vision was later reduced to a 1000 seat sanctuary). All I could think of was, what a waste of money! Is God really honoured by our North American Hollywood mentality that bigger is better? Is God really honoured by all of our multi-million dollar church buildings, all the while the people around those buildings continue to struggle with hunger and an inability to make it to the end of the month before the money runs out? "The average church allocates about 5 percent of its budget for reaching others with the Gospel, but 30 percent for buildings and maintenance. At a time when the poor and aged are pleading for help, churches in America are spending approximately 3 billion dollars a year on new construction." Excuse me, but am I missing something here? Unfortunately it's not just a North American mentality. A couple years ago I had the privilege to attend a centennial church celebration in South America with my daughter. While there we enjoyed many long walks in an effort to try an capture some of the culture. One thing we noticed was many poor and destitute people. Our hearts broke, when outside the church door we saw a woman and her two young children. She wasn't begging, but simply sat there looking totally forlorn and defeated, as if she didn't know how or when she was going to be able to next put a piece of bread in her children's bellies. Meanwhile, inside that very church, they were unveiling plans for a new church building. We couldn't help but think that there was something terribly wrong with that picture. Whose kingdom is really being built? In retrospect, I almost wish I had the nerve to stand up and speak against those building plans! Has Hollywood invaded the church service? I believe that in many places it has done just that. The Hollywood mentality has turned the modern institutional church into kingdom building, and I'm not talking about the kingdom of God either. I'm referring to building the individual kingdoms of many pastors and church leaders. In a sense it is nothing more than a competition to see who can build the biggest church. I've gone to a few pastor's conferences from time to time, and sooner or later, the discussion always seems to come back to the question of, "How many people do you have in your church?" To be fair, certainly not all are like that, and I have described the worst in the barrel, but it illustrates what I've seen on a number of occasions. One pastor becomes jealous of the next one, and covets the other pastor's church growth. Whose kingdom is really being built? Much of things that some (not all) pastors speak about, the competitiveness and the jealousies in their hearts, is nothing more than worldly (and sinful) carnality. From this we find ourselves getting into a whole other realm, namely that of denominationalism and disunity, but that's a topic for another time. Yet another way that Hollywood has invaded many of the institutional church services is through showmanship. They are well tuned and professional in nature. There is often a great deal of rehearsals prior to the Sunday morning "show." Choirs, musicians, and even pastor's themselves, often rehearse their performances. In some churches, even the prayers are written out ahead of time so that it all comes out sounding just right, as if God were somehow impressed with our diction. After all, heaven forbid if the order of service and the clock aren't watched closely. Yes, I am being sarcastic and facetious, but it turns my stomach sour when I think of how professional we have made church services. This all leads me to a number of questions. Is God impressed by all this professionalism? Is it God that we're doing all this for, or is it rather to better entertain those in the pews? Are the institutions leaders afraid that they will lose people if the whole Sunday morning ritual isn't presented as professional as possible? Is there even room for the spontaneous leading of the Holy Spirit in the way we fine tune everything in advance? I'm all for giving God our best, but haven't we gone just a little overboard with our showmanship? Hmm, I wonder. Do you see the Hollywood invasion of the church in that passage? Sometimes I wonder. Who are the modern day teachers of the law? Could they be the pastors and church leaders? Again, to be fair, we certainly cannot paint everyone with the same brush, but think about it. Today they don't necessarily walk around in flowing robes, although some traditions still do. But many, especially in the larger televised services, are dressed up to the hilt in expensive suits. It makes the mind boggle to think of how much some allegedly spend on their silk suits! And what about the marketplace greetings and the most important seats? How many pastors today receive special discounts on merchandise simply because they are pastors? I confess that when I was a pastor, I did often get special discounts too. God forgive me. Why, many institutional churches even have reserved parking for the pastor right outside the door. We don't want them to have to walk too far, do we? And then there is the constant begging for money, from pulpit and TV, that does little more than "devour widow's houses." I have sometimes asked myself, "If God were truly in that ministry, would they even have to ask people for anything?" It seems to me, if God were really in that "ministry," they would not have to ask for a nickel. Furthermore, would such institutions really ever have enough? Someone could drop a gift of ten million dollars in the offering plate, and it would be only a matter of time before the fundraising would continue as before. Finally, there are those lengthy and often showy prayers. We sometimes call them "pastoral prayers," as if to suggest that they are somehow more exalted because they come from the pastor and not dear old Mrs. Smith in the second pew. Someone once developed an acronym to guide us in developing our lengthy and showy prayers. It's called the "A.C.T.S." acronym. The "A" stands for "Adoration." Apparently we have to begin with an element of adoration towards God. The "C" stands for "Confession," because someone says that we have to have a time of confession of sins to God in our pastoral prayers. The "T" stands for "Thanksgiving" since we do not want to forget to say thank you for the blessings that we enjoy. Finally, the "S" stands for "Supplication," and is meant to remind us to not forget to bring the needs of others before God in prayer. Please understand that I do not find fault in any of those segments of prayer per se, but it does make me uncomfortable when it's little more than a law-like and mechanical structure which then turns the whole thing into a lengthy and showy prayer that Jesus cautioned against. Recently my wife and I went to a local theatre to see a latest Hollywood release. Suddenly there amidst all the previews and pre-film announcements, filling the entire screen, was an advertisement for one of the larger local institutional churches. I didn't know if I should laugh or cry. Hollywood had indeed invaded the church. Great article. I agree, not all pastors and Christian organizations are like this, but unfortunately it is becoming the norm. We seem to be putting more emphasis on things about God than we do on God Himself. It seems organized religion is more of a big business and self promotion than it is about loving others and accepting them as Jesus does. The truth of the matter is we need to realize being Christ followers is not about what we do for Him, but what He has done for us. Thanks for the comment. Peace & Blessings.